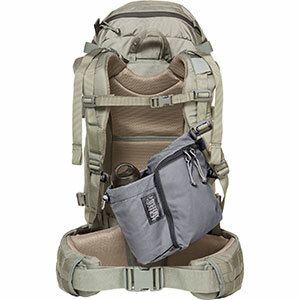 Visit Granite Gear's Pack Pocket page. 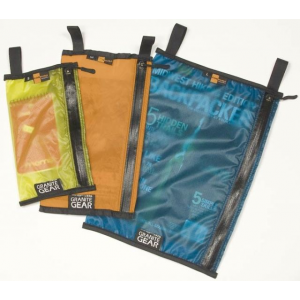 These ultralight pockets with foam backing attach to a pack's side, front or lid compression strap, offering you extra room, protection & convenience. 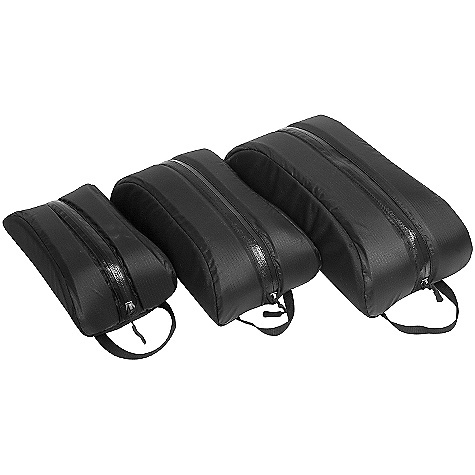 They feature a water-resistant YKK zipper with the protection of a "garage" that the slider parks in. 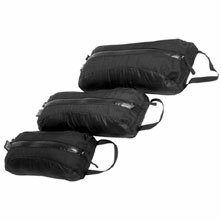 Constructed of ultralight 70 Denier Ripstop Hybrid Sil-Nylon Cordura and 210 Denier Nylon Cordura. 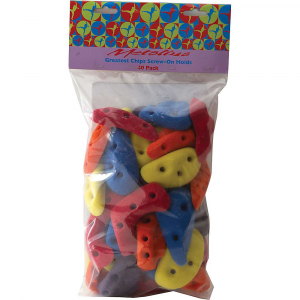 The Armored Pockets can also function as a stand-alone packing system. 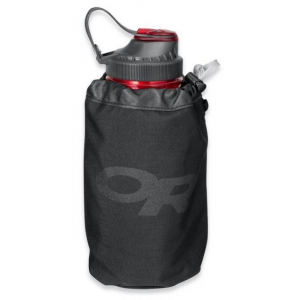 These ultralight pockets with foam padding attach to a packs side, front or lid compression straps, offering you extra room, protection and convenience. The medium Granite Gear Pack Pocket easily attaches to external compression straps, adding ultralight storage to any pack for extended treks and overnight adventures. 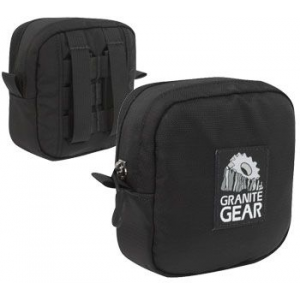 The Granite Gear Pack Pocket is not available from the stores we monitor. It was last seen September 18, 2018	at SunnySports.